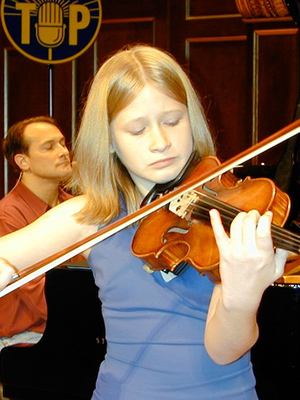 Caeli Smith performed on Show 103, recorded in June 2004, at age 12. She also performed on Show 126, recorded in October 2005, at age 13. She also performed on Show 200, recorded in July 2009, at age 17. Caeli has appeared numerous times on From the Top’s radio and television programs, as both performer and Roving Reporter correspondent, and she regularly contributes to From the Top’s Roving Report e-newsletter and blog.